Sinusitis is a sinus infection that occurs when the lining of the sinuses becomes inflamed, leading to swelling. As a result, sinuses become blocked and filled with fluid, allowing germs such as bacteria and viruses to grow and cause an infection. The term actually refers to a number of different types of sinus infections, typically defined by their severity and the duration of symptoms. Acute sinusitis is characterized by sudden cold-like symptoms that usually last no more than 4 weeks. Sub-acute sinusitis is a more severe form of inflammation, lasting about 4 to 8 weeks. Chronic sinusitis is an infection with symptoms lasting 8 weeks or longer. Recurrent sinusitis is an infection in which several attacks occur over the course of one year. Most sinus infections can be attributed to one of four different causes. 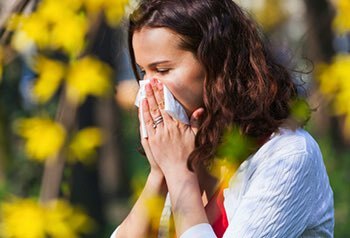 These include the common cold, a deviated septum, polyps in the nose’s lining, or allergic rhinitis (swelling of the nose lining). Environmental factors contributing to sinusitis in children include allergies, illnesses from other children, the use of pacifiers, and smoking in the child’s immediate environment. In adults, the most common contributing factors are infections and smoking. The primary symptoms of sinusitis include nasal stuffiness or discharge, congestion, a loss of smell, coughing and facial pressure resulting in discomfort. Additional symptoms may also be present, including fever, fatigue, bad breath and dental discomfort. Although often associated with sinus infections, most sinus headaches are actually migraines or tension headaches. Treatment protocols for sinusitis depend on its severity and causes. Simple acute sinusitis is usually treated with OTC decongestants and the use of a vaporizer. In addition, nonprescription decongestant nasal drops or sprays may help alleviate symptoms. Caution: Usage of these medications for more than the recommended four to five days may actually contribute to greater congestion. Penicillin-type antibiotics like Augmentin may be prescribed for sinusitis caused by a bacterial infection. Antibiotics are not effective against sinus infections caused by a virus. Once treated, sinusitis symptoms usually disappear. Persistent sinus infections, lasting longer than 14 days, may require the expertise of an Ear Nose and Throat (ENT) specialist. For chronic sinusitis, warm moist air from a vaporizer or boiling water should help alleviate congestion. (Make sure you remove the boiling water from the heat source first.) Discomfort in the nose and sinuses can be relieved using warm compresses. Saline drops or over-the-counter decongestant nasal drops and sprays can also be effective for symptoms, but do not use decongestants for longer than recommended. Other treatments sometimes prescribed for sinusitis include antibiotics and prescription oral steroids. In most cases, sinusitis can be effectively managed with medication and by addressing the cause. For chronic cases, however, surgery may be recommended to remove polyps, enlarge the openings of the sinuses, or to correct any structural problems in the sinus cavities. 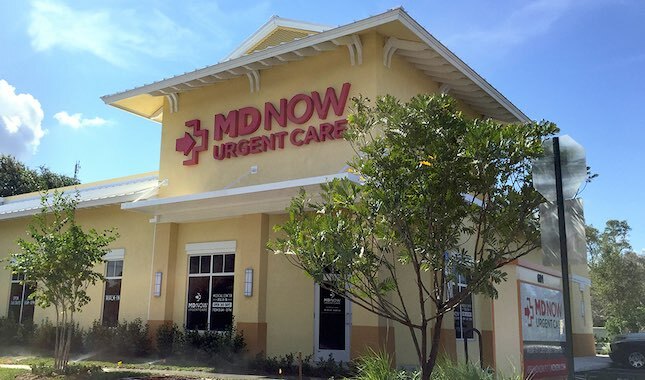 If you’re experiencing several or more symptoms of sinusitis, you should visit an MD Now Urgent Care near you to obtain a proper diagnosis. After an evaluation, your MD Now physician will recommend appropriate treatment. A delay of treatment for sinus infection should be avoided. Not only could it result in unnecessary soreness and discomfort, in rare cases, it may lead to meningitis or a possible brain abscess. Immuno-compromised patients and patients with diabetes can develop serious life threating issues if sinusitis is left untreated. It’s best to seek early medical attention to prevent these types of complications from occurring.